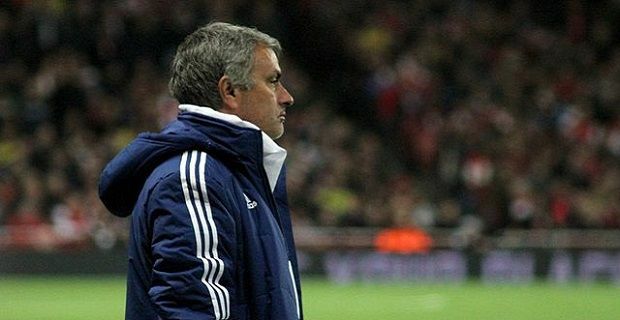 Mourinho also said that Arsenal are “afraid to fail” and suggested that they won’t win this year’s Premier League title. Bob Wilson, who made 308 appearances for the Gunners, told BBC Radio 5 Live, “I find him boring in the extreme,” and added “I think at its best it's disrespectful, at its worst despicable." Wilson believes that it’s personal, but it’s just the way the modern game is played between managers. Ever since Alex Ferguson famously unsettled Kevin Keegan to the point that he made his emotionally charged “I would love it” speech during the 1995/96 season, mind games have been par for the course in the Premier League. Wenger’s been smart by not reacting publically as it wouldn’t do him or his side any good. Arsenal are currently 1 point away from Mourinho’s Chelsea in the Premier League table with 12 matches left and the Frenchman, who has become famous for his considered approach to management, must keep his cool if his side are to win their first silverware since 2005. As well as rubbishing his rivals, Mourinho is taking every opportunity to talk down his side’s chances of success. He has likened his Chelsea side to a “little horse” suggesting that they are not yet mature enough to win the title. Wenger has commented that Mourinho’s stance about the Blues means that he’s setting up a position from which he can’t lose, but he’s not been drawn into any of Mourinho’s mind games. Mourinho response was typical of the man: "If he is right and I am afraid of failure it is because I didn't fail many times. Eight years without silverware, that's failure."